For a probinsyana like me, being catapulted from a small laid-back province to a busy and bustling metropolitan city was quite daunting. Time flew so fast that the days, months and years passed by so quickly. And before I knew it, it was time to pack our bags and say goodbye to Hong Kong for good. Hong Kong has been a second home for me, my husband and kids for three years. Deep down I knew that there are lots of things that I have loved and missed in that place. There are times when I would say to myself that it is indeed ironic that I would feel much safer in a place other than my own. Hong Kong is safe even when I go out to purchase last minute essentials late at night or a stroll in the park with the company of my family. In the years that I have stayed in Tuen Mun or even in other places in HK, I have never witnessed any brawls on the street or the like. So, I guess that gives you an idea about the peace and order of the city. One thing that I noticed about the Chinese foods that I have tried and even prepared myself is that even though they are easy to prepare, it could bring out the chef in me. The iingrédients are just simple - minced ginger, green onions, sesame oil and of course Chinese rice wine are my favorites. My family would occasionally dine out when I’m too bone weary to prepare for dinner and I wanted to take a break from my daily date with the pots and pans in the kitchen. Most of the time, we always end up eating at Café de Coral, a restaurant with a variety of meals to choose from. The food is great and suits our budget too. The park is something that we look forward to on weekends or every free time that we get to have. 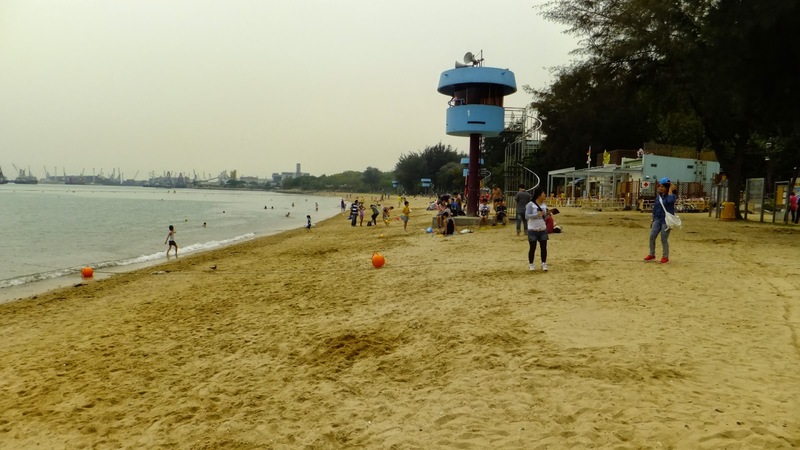 The beach is very welcoming for long walks, occasional conversations while sitting on the bench or just enjoying the harbor while the kids run around. At times, we would bring out a beach mat, towels, kids shovels and buckets and head off to butterfly beach. They have a barbeque section too for those who are craving for a nice tasty grilled barbeque! There are lots of wide, open, beautiful parks that you can find around Hong Kong to relax and unwind. I enjoyed going here from time to time. Absolute cheap finds costing only for as low as $10-$20 HKD! Plenty of varied items to choose from such as clothing apparels, gadgets, fashion accessories, you name it! 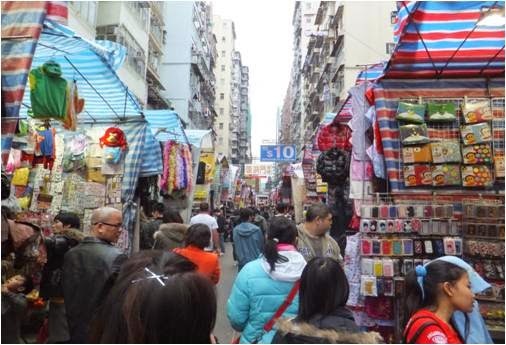 I usually go to the street market in Sham Shui Po, just 3 train stops via MTR Tsuen Wan Lane from Mei Foo because it is nearer Delia English Primary School where my two kids went to school. It is an excellent destination for the family to bond and have a good time and create memories. My family celebrated Christmas of 2013 in Disneyland. 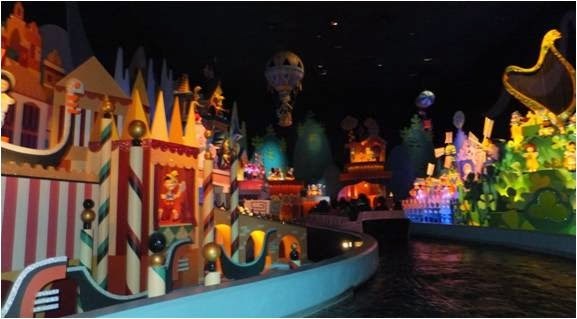 Our top favorites were the 4D movie, jungle safari, mystical place and its small world ride. I advise tourists to plan in advance where you want to go or what kind of rides you would like since the queue is quite long especially on weekends and special holidays. 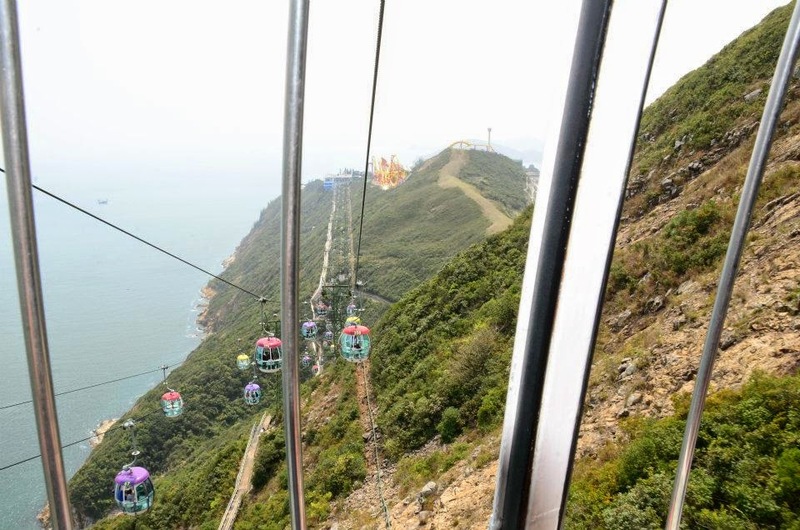 Other places that you could also visit are Ngong Ping 360, Ocean Park, Noah’s Ark, Victoria’s Peak and more. For the locals, commuting is part of their everyday lives. I was a usual commuter from Tuen Mun to Mei Foo while sending and fetching my kids to and from school - a 30-45 minutes ride by bus. In the entire time that I stayed there I could only say good things about the KMB bus drivers in HK. Based on my experience, the transportation is reliable and safe. I’ll miss the convenience of the Octopus Card too which I topped up with credits in Circle K, 7 eleven or in the MTR customer service station which I had used to pay for my fare and buying grocery in convenience store partners of octopus cards. All you do is to tap it on the card reader and it will automatically deduct the price to your remaining load. Simple and hassle free! So this blog post is a way for me to say thank you to a place that has been good to me and my family. My experience in Hong Kong was one of the most memorable chapters in my life. For those of you who want to visit HK, I give you my assurance of great and fun memories with the place. Now, my family and I are in the Philippines but I am looking forward to visit Hong Kong again in the near future.